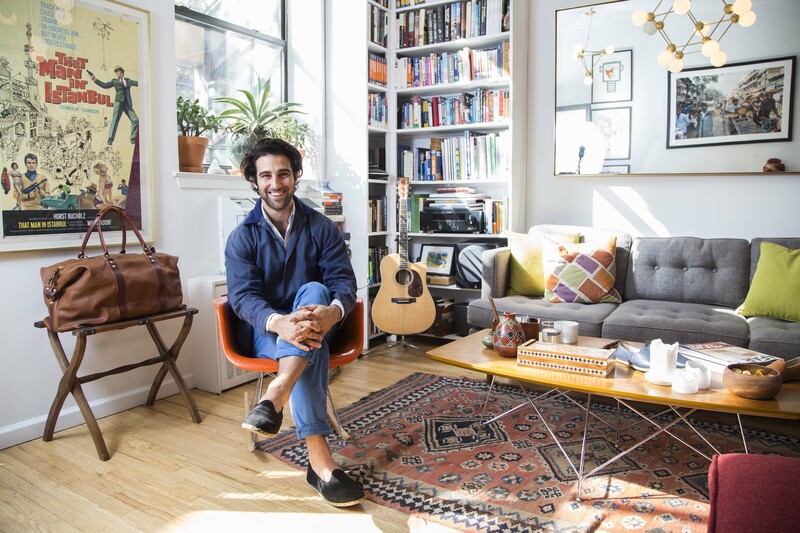 For Texan Mickey Ashmore, a comfortable pair of Old World shoes—traditional slip-ons made by artisans in Southeast Turkey—became his inspiration. After graduating from Wharton MBA, Ashmore started working for Microsoft and moved to Turkey as an expat. While living there, he was introduced to the handcrafted leather shoes as a gift from his then-girlfriend. “I travel a lot. I immersed myself in Turkish culture and learned the language” he said. That experience has led to an entrepreneurial journey. Ashmore moved back to New York to work for a private equity company. He took the shoes with him. They were so comfortable, he wore them everywhere. He was surprised by how many people asked him where they could find a pair. “I am not into fashion. But I love the style, the design, and the colors,” he said. He wanted to have more pairs. So he reached out to people in Turkey including his ex-girlfriend to help him find the cobbler. Through a long-distance search, he finally found him in the city of Gaziantep. 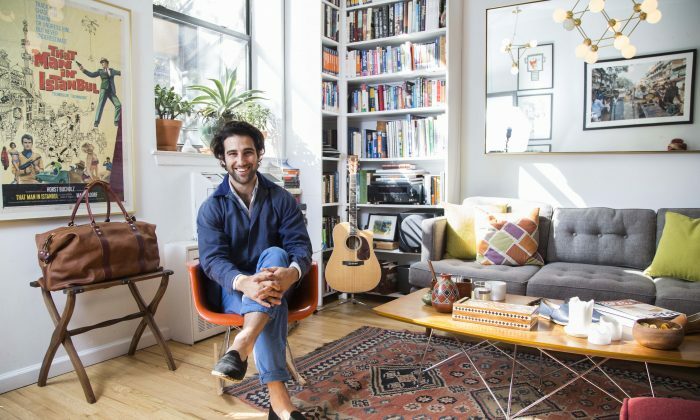 He collaborated with the shoemaker, made a few tweaks to the original design, and launched his brand called Sabah in 2013. After selling quite a few shoes in two months, he decided to quit his job and focus fully on his brand. “I liked my job, but I was more excited about the prospects of selling shoes,” said Ashmore. The word “Sabah” means morning in Turkish, the idea being that you put them on in the morning and never take them off. “It is a flat, simple piece of shoe with a very light weight. It is a different type of comfort, unmatched by modern shoes,” said Ashmore. Sabah started off making men’s shoes and later launched a women’s line. 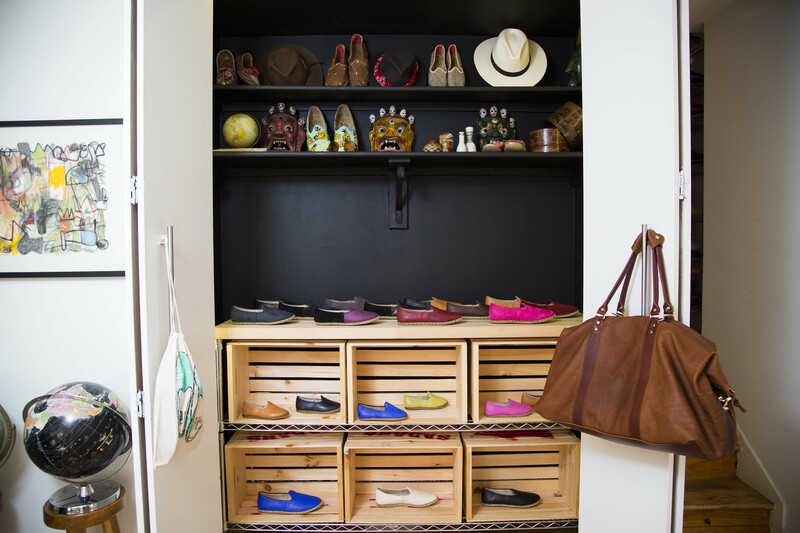 Today, women’s shoes make up around 60 percent of the business. All adult shoes sell for $190. Sabah also recently launched a children’s line at $65. The cobblers in Turkey use a thousand-year-old technique to make the shoes—a technique that has been passed down through generations from father to son. Today, only a few families still make this kind of shoe in Turkey. It is very rare and much less appreciated in modern times compared to the past. However Sabah created a buzz around it and now more cobblers are producing them. “It is made entirely of leather. That’s the beauty of the shoe. There is nothing synthetic except for the piece of rubber, which is natural rubber. And it lasts a really long time,” Ashmore said. Since it is made of high quality leather, it also does not smell. Sabah uses different types of leather. The upper part is cow leather and the lining is lamb or sheep leather. The sole is made of an Old World leather, which is hard to find—and a proprietary secret. Every pair of shoes is still made by the original shoemaker he found in the Southeast Turkey. 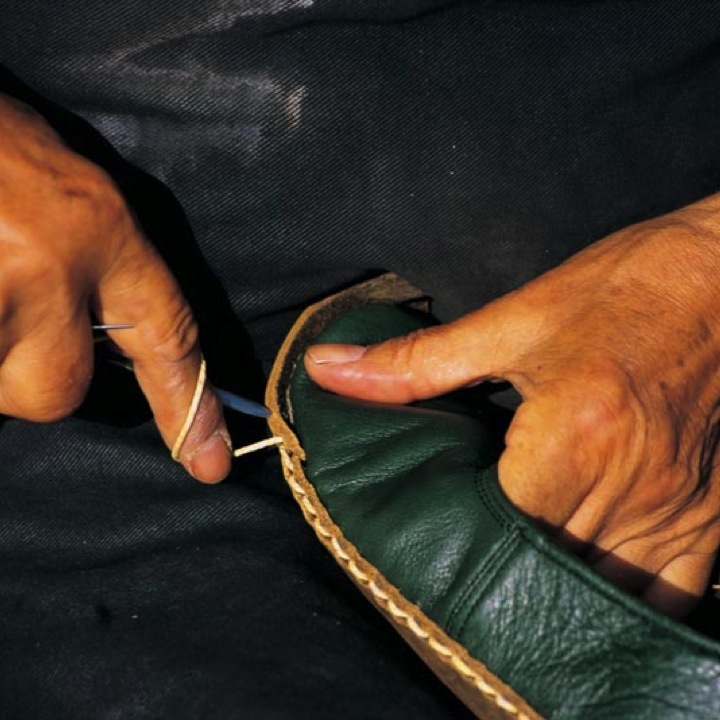 The shoes are all hand sewn using a traditional technique, which is the hardest part of the shoemaking process. The cobblers use a continuous wax-cotton string and hand thread it through the shoe’s leather from the inside out. It takes a few days to produce one pair of shoes, but it is not a continuous process. Shoes are left to sit and mold slowly. “A lot of shoes are thrown into hot ovens or put inside a cold storage to manipulate the molding of shoes. It is a fast forward process. But we just do it in a slower way,” he said. Every pair of shoes is still made by the original shoemaker he found in southeast Turkey. You cannot buy Sabah shoes online, which is another unique aspect of the brand these days. Most sales come from word of mouth. If you want to buy a pair, you can call, email, or visit the store in the East Village, Manhattan. There is currently only one store, but the company will open another location in Los Angeles in December. The company has regular Saturday and Sunday open houses. It also throws parties with live dance music every Sunday hosting 200 people—the goal being to make everybody dance. “It is like a club. Most people who are coming to the parties already have Sabahs. They love what we do. The way we run the business comes from my love for hosting and bringing people together,” said Ashmore. For Ashmore, the hardest part of the business is the supply chain. Since leather is a natural material, every piece of it performs differently. Even the mood of the craftsman has an impact on the shoe. “There are many factors impacting the end result, which you cannot really control and that is the hardest part. That is also what we cannot compromise on,” said Ashmore. He and his employees spend a lot of time on quality control. The process of producing shoes has been very iterative. In the beginning, he paid a lot of attention to how the shoes looked on the feet, how they aged, and how the customers reacted to the different leathers and colors. He was providing feedback to the craftsmen every month. “Up until six months ago, we were still tweaking the design,” he said. He originally intended selling the shoes to men. Then women started buying smaller sizes. “I realized it was not feminine. So that’s why we launched the women’s shoes.” That is how he started learning about women’s shoes. He has hired a shoe designer to help him. “I still do not consider myself a shoe designer or a shoemaker. But I had to learn about shoemaking to be able to perfect the shoes and be able to have intelligent conversation with the craftsmen,” said Ashmore. “I focused on just building the business, selling the shoes, and getting them out there. I hustled. And I let the strategy, the system, the operation, and the people fall into place and be organic around that,” said Ashmore. Another lesson he learned over time is to keep things simple. In the beginning Sabah was offering shoes in 50 different colors, now it’s narrowed down to 16. The company is focusing more on the quality than the quantity of options. Ashmore admits they have made a lot of mistakes. “We had shoes arriving late, getting stuck in customs, coming in wrong colors, or shipped to wrong people. Like in every business. It is how you handle your mistakes that matters the most,” he said. The search for a comfortable pair of shoes isn’t new. The first detailed shoe-sizing system was introduced in 1688 in England and then in 1880 in America. It may very well be unrealistic to think that a shoe could have significant impact. Many runners opt for expensive footwear - but are they worth it?